Bob is a founding and senior partner at Levin Ginsburg. Bob has represented, and counseled his clients regarding both U.S. domestic and international corporate acquisitions and dispositions, and numerous other business transactions. 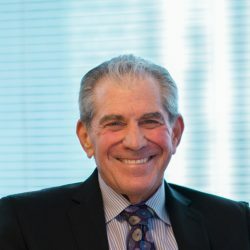 His work includes negotiating, structuring, financing and documenting mergers, acquisitions, divestitures, equity and financing transactions, shareholder and partner investments and buyouts, executive employment, customer and supplier relationships, and other business agreements, risk analysis and development and implementation of successful legal strategies for businesses and their owners. Bob is particularly proud of his role as a trusted advisor to many privately held businesses and their owners. Bob likes to travel to the far corners of the world and spend quality time with his family and friends. Bob also likes golf but it does not always like him.